I know I tell you all the time that I love you, but I want you to know how much I really mean that. You are one of the most important people in my life, and I don't know what I would do without you. And honestly... I don't want to know. I know if I ever have a problem or need someone to talk to you're right there. I can call you anytime and you always have time for me. I can talk to you about anything: boys, family problems, personal problems, my fears, school, life in general, or even stupid things like my favorite food or tv show. We are so different, yet at the same time so alike. It's kinda confusing. But so is our friendship. We are both crazy, even if you don't want to admit it. I think we confuse our friends. We can go from having a serious heartfelt conversation to arguing about if peach or orange is a better flavor. We can tell each other we love each other and the next second insult each other. And badly too. While its all a joke to us people get confused. And I like it that way. They can't explain our friendship, and honestly neither can I. But that's okay, because to me it's perfect. I want you to know that I trust you completely, and more than just about anyone else in my life. 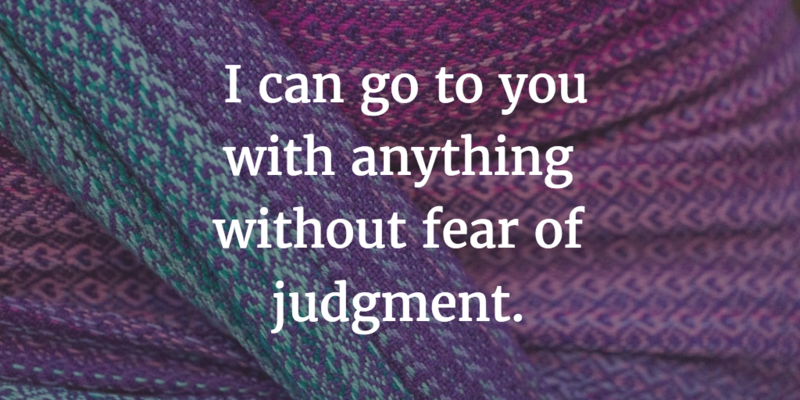 I can go to you with anything without fear of judgment. And that means the world to me. So I want you to know that I love you, and hope you know you can come to me about anything. You are my best friend and you can come to me with anything. I will never judge you. And nothing in this world can make me stop loving you. So if you need me I'm here. Always remember that.